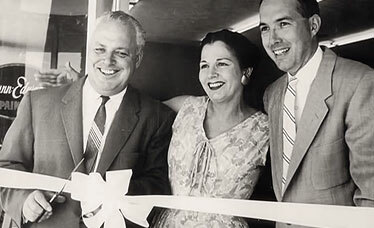 Frank “Buddy” Dunn founded the company in 1925, not as a paint maker but as a wallpaper store in Los Angeles. 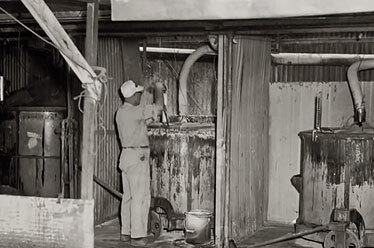 The business expanded as he added a line of paints, and later (with two employees) he began manufacturing his own paints in the backroom of the company’s second store. In 1938, he partnered with his friend Arthur C. Edwards, a former painting contractor and pigment salesman, to form the Dunn-Edwards Corporation. Sales immediately improved, and a business philosophy was born: “Make the finest line of paint and give the best service at fair prices.” It’s a philosophy that endures through this day. Dunn-Edwards celebrates its 90th year in business! Watch the video. The company changes its name to Dunn’s, Inc.